It's Power Stone crossed with Robot Wars! Given the lofty pedestal that Capcom’s Power Stone occupies when it comes to multiplayer conversations, it’s always welcome when a game attempts to emulate those timeless halcyon thrills of yesteryear. 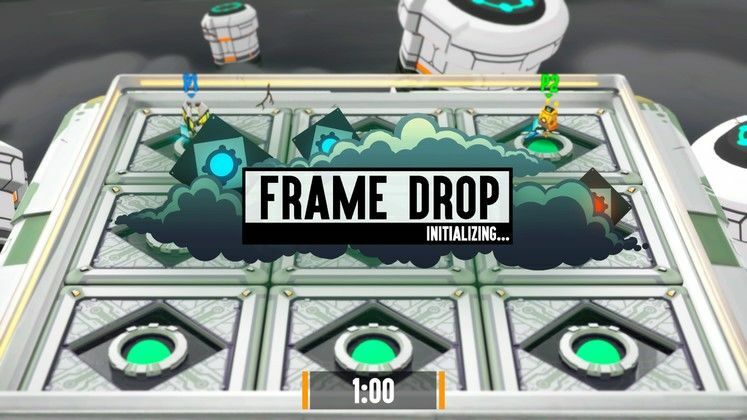 So it is then that Dream Sail Games have attempted to do just that with Blade Ballet; a robot-themed effort that not only channels the spirit of Power Stone and its ilk, but which also puts its own stamp on the formula with unique, momentum based combat supplemented by a trio of intriguing game modes. It remains somewhat of a shame then that despite such a triumphant foray into local and multiplayer shenanigans, that Blade Ballet finds itself tragically bereft elsewhere; a distinct lack of content threatening to stymie the appeal of what could easily have been (and still be) the next must-have prospect for couch-based PC gaming. 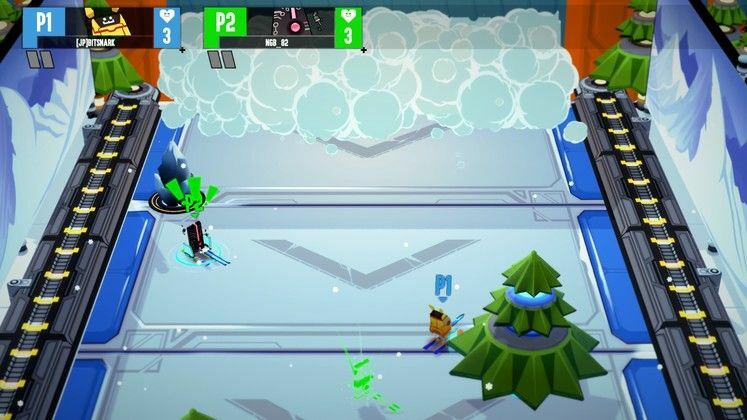 Built for local and online multiplayer, Blade Ballet is all about pick up and play and it proves itself in earnest to be an effort that anybody can get stuck into. 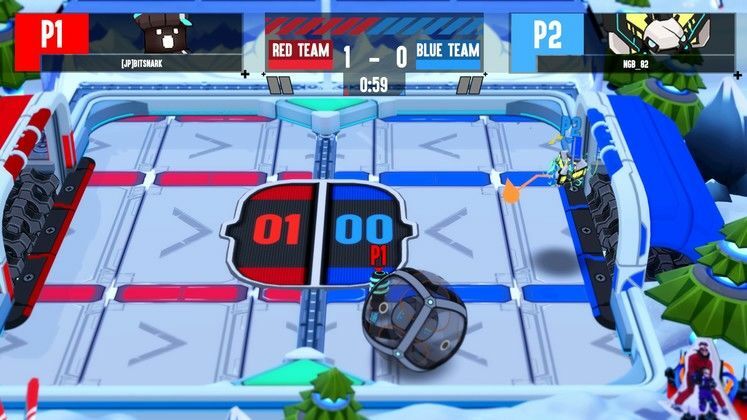 Broadly speaking, Blade Ballet is all about you and up to three other mates taking one of ten different robots into an arena and mashing the brown stuff out of each other until somebody wins. Viewed from a slanted, top-down perspective, though Blade Ballet takes ample inspiration from Power Stone and games of a similar ilk, the combat is actually very much a beast of its own creation. You see, rather than blasting foes with ranged attacks and various fisticuffs as the games of yesteryear would have us do, Blade Ballet instead leverages its moniker in real, tangible gameplay terms. Essentially, it requires each player to rotate the torso of their robot by depressing one of the shoulder buttons on the controller, whipping whatever attachment they have (be it blade, club or whatever else) at speed with a view to smash into other robots and, hopefully, knock them into many little pieces. Though it seems perhaps overly straightforward and basic, this combat system actually possesses surprising depth because it’s all about momentum; if you don’t have enough speed on your spin, you not only won’t do any damage, but you could very well bounce harmlessly off your target and fall off the edge of the level to your doom. 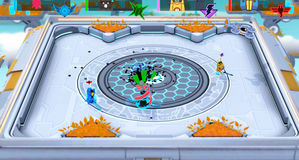 Layering matters further is the fact that the ten selectable bots each possess special abilities and characteristics that suit different styles of play. Cat Bot for example has an ability that ignores enemy shields while Syphon can steal Shields and grow swords because, why not, right? 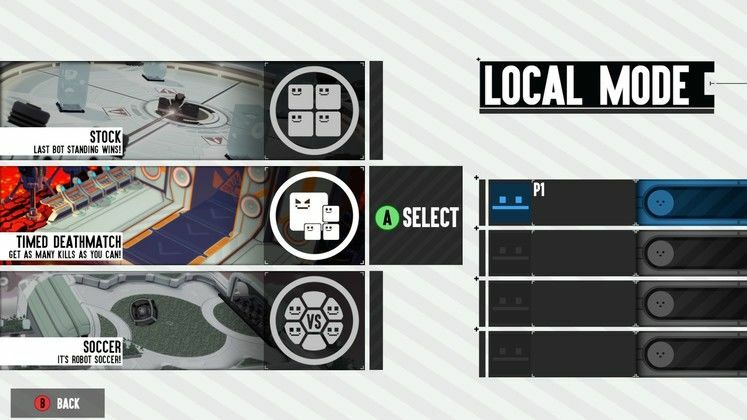 It’s not just abilities either, each robot has a different amount of shielding too, with some having just enough to cover one side, while others have enough shielding to cover them completely; an instant kill being granted to the player who can place an attack where no shield panels exist. It’s not just your fellow players that you need to worry about either, as the arenas themselves also present a myriad of hazards from avalanches to randomly falling floors that can send you tumbling to your death; it’s just a shame that there aren’t more of them on offer (though future patches have promised to bring more to the game at a later date). Supplementing the arenas on offer, Blade Ballet offers up a trio of different game types for players to get stuck into - Stock (last bot standing wins), Timed Death Match and Soccer. In addition to each being pretty self-explanatory and by the virtue of that, allowing even non-gamers to start playing with ease, the three modes also have a number of parameters that can be adjusted, such as number of rounds, timers and so on. Of the three, soccer is the most fun, with the constant tug-of-war mechanic resulting in some frequently raucous action that while invariably entertaining, definitely demands more arenas than what’s currently available. Finally, Blade Ballet only really works properly with controllers so if you are playing locally, make sure everyone who is taking part has one. Blade Ballet’s arcade style visuals are simplistic, this much is true, however its low-detail, though colourful array of robots and arenas are such because it not only preserves the veneer of its retro inspirations but also allows it to move at an uncompromising, liquid smooth framerate on even the most entry level of machines. Ultimately, Dream Sail Games choice to prioritise responsiveness over anything else proves well founded in the end given just how strongly the arcade beats of Blade Ballet rely upon it. My own PC which encompasses a 2.8 Ghz i5 CPU, 2GB Geforce GTX 670 and 16GB RAM, is able to run Blade Ballet effortlessly with maximum detail settings, so I doubt hardly any of you folks will have an issue doing the same. 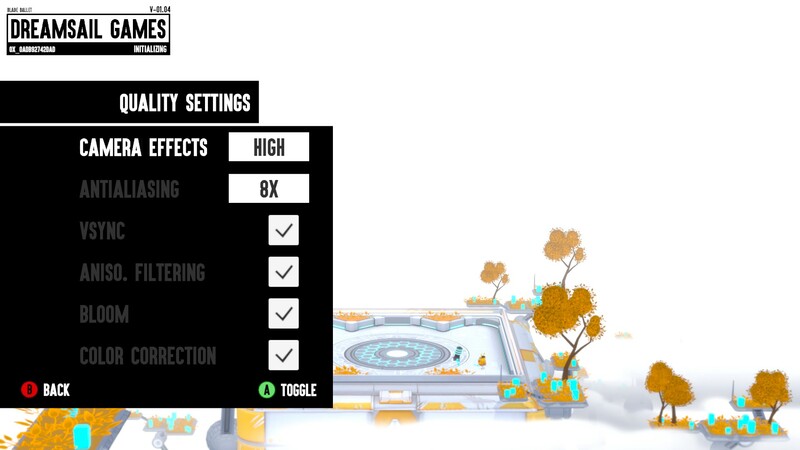 When it comes to the array of visual options that you can tweak, Blade Ballet proves to be a nice surprise; allowing players to fiddle about with screen resolution, v-sync and anti-aliasing parameters to name just a few. In case you were under any illusion regarding Blade Ballet’s arcade leanings, the wonderfully hyped and excitable dulcet tones of the in-game announcer do a consummate job of cementing Blade Ballet’s classic pedigree. Similarly, the sound effects and music both dovetail neatly into Blade Bullet’s broadly accomplished arcade presentation with a mixture of chiptune serenades and retro effects work that all help to evoke memories of a fondly remembered bygone era of gaming. 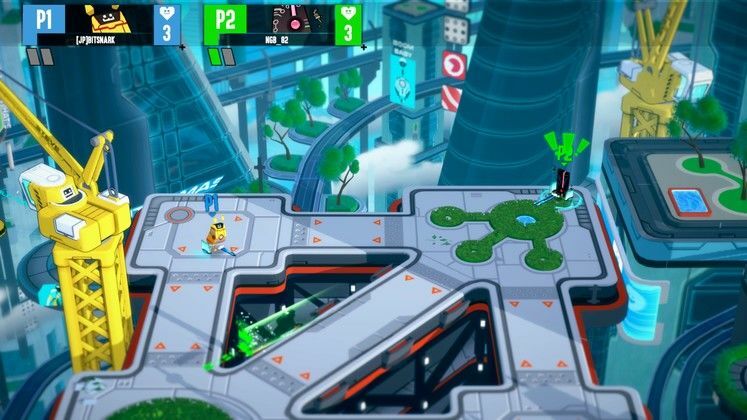 Blade Ballet is one more card-carrying member of a burgeoning club of local multiplayer games that the PC hasn’t seen in quite some time. 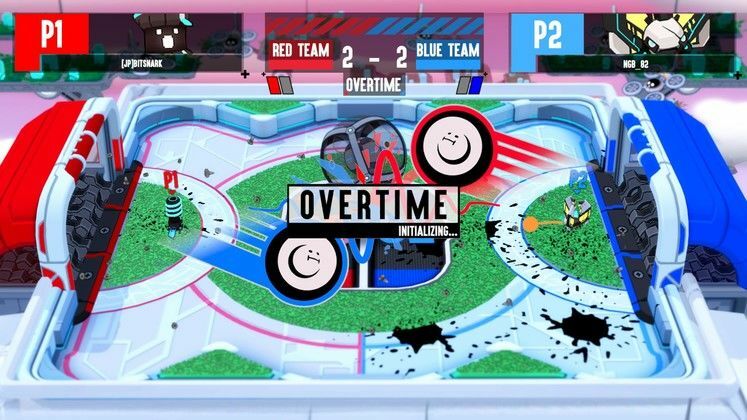 Easy to pick up and play and able to sustain multiplayer parties long into the night, it easily exists in the same circles as the likes of TowerFall, Extreme Exorcism and efforts of that ilk. However, because its core gameplay is so well-tuned and so easy to grasp, it becomes all the more difficult to deny the fact that, simply speaking, you just want that much more of it - more arenas, more bots and more modes. One area especially where the game could stand to put a few extra pounds on its frame is where the single-player offering is concerned, because somewhat shockingly, there isn’t one. Sure enough, while I understand that the thrust of Blade Ballet is its multiplayer shenanigans, the absence of single-player content actually hurts the former, because it robs players of not only being able to practice on their own but also to fill in the numbers in multiplayer games where they might not have the requisite number of fleshy bodies to do so. Already the developer has promised that frequent, content-delivering patches will be arriving and one would hope that some sort of single-player functionality figures high on their list of priorities because as of right now, Dream Sail Games have a fantastic arena battling party game on their hands, but it’s one whose excellence is hamstrung by not enough content to properly leverage its otherwise impressive calibre. Blade Ballet is something you don’t see every day on PC; a real, heartfelt attempt to replicate the compelling trappings of Capcom’s Power Stone, it succeeds as an accomplished go-to prospect for local and online multiplayer party shenanigans but the lack of a single-player mode and other content presently hamstring its ultimate potential. Playing Soccer and watching the opposing player(s) kill you but accidentally at the same time, knock the ball into their own goal. Golden.